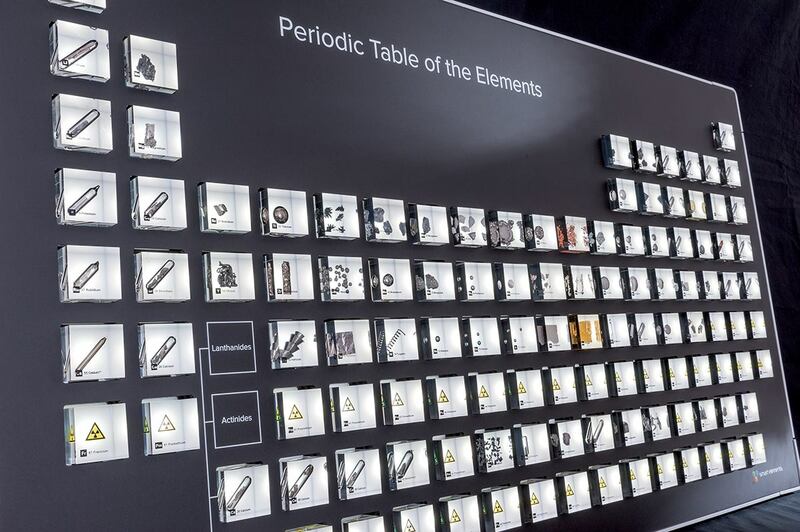 These extremely rare pieces of solid glassy carbon are perfect for your element collection! Sodium ~1 gram in ampoule under argon! 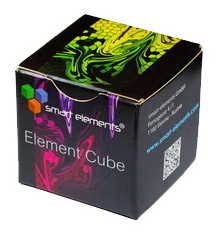 High pure melted iodine in ampoule! Under high pressure and temperatures above 100 deg. C. Iodine forms a brown solid which conducts electricity. 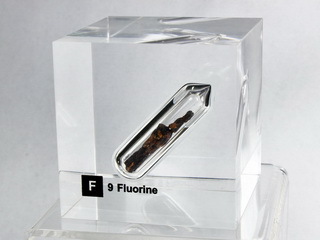 Fluorine - Fluorite sample in ampoule. Amount ~2 grams. 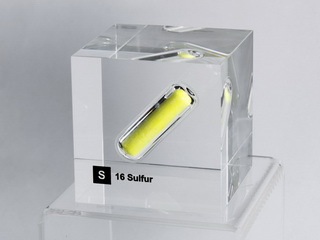 Currently it is not possible to produce ampoules containing pure Fluorine which can be safely stored over several years. 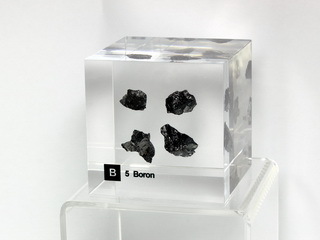 As replacement we used black Fluorite/Fluorospar also called 'stink spar' in German this is because of the strong smell of this mineral when rubbing pieces against each other or breaking them up. Black flourite originates from other fluorite forms in presence of radioactivity (from uranium- or other radioactive minerals) over a long period. I brought this mineral from a closed uranium mine in Argentine where lots of Fluorites of different colours can be found.